Car Servicing Sg: How Often Should You Do Car Inspection In Singapore? How Often Should You Do Car Inspection In Singapore? The importance of frequent car inspection cannot be stressed enough especially when you are living in a city like Singapore, where there is a greater chance of damage along with wear and tear. So how frequently do you take your car for inspection? Is it once every year, every month, or every week? The truth of the matter is, there is no absolute answer to this question because every car is different and the conditions change differently. If you want to take your car for inspection service, there are a few things you must know that will make sure everything goes smoothly. How often should you send your car for inspection? According to the customary laws of Singapore, if you have a car or station wagon then it is not mandatory to send it for review for the first three years. If your car is 3 to 10 years old, then sending it for inspection biennially is mandatory. If your vehicle is more than ten years old, then you have to send it for review at least once every year. 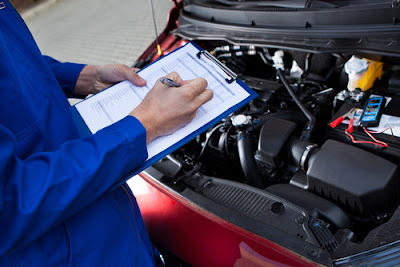 Even though this is the official list of what should be the minimum inspection frequency, the general rule of thumb states that your car will be in better condition if you can at least get your vehicle inspected 3 to 4 times every year. For private hire cars, there is no need to send for inspection if it is less than three years old. However, if it is between 3 to 10 years old and 10 years above, you have to send it at least once every year. The rules are different for another type of vehicles like public buses, taxis, motorcycles and scooters, light goods vehicles, etc. So, a thorough consultation is necessary the car is sent for servicing. 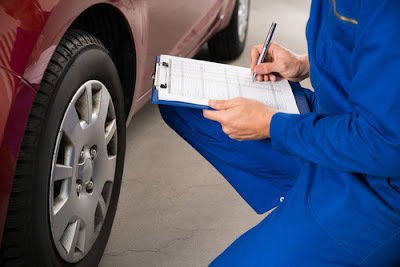 What does car inspection consist? What an inspection services conduct regular sessions stretching from bumper to bumper. Within these sessions, the mechanic or support staff checks for scratches, cracks, dents, and pits that are usually found on its exteriors like Windows or windshield. These elements can prove to be extremely dangerous because high pressure may shatter the glass, thus putting the lives of passengers in danger. After checking the exterior, the inspector takes a look at the dents, scratches, dings on the panels right after they are done with checking the car's paint job and body repair. The mechanic also checks the tire condition as well as tread depth. When checking the interior of the vehicle, the inspector's first take a look at the condition of carpet and upholstery. Some components that make for poor interior conditions are stains, tears, burns, rot, etc. Once the cosmetic conditions have been checked, then it's time to focus on the electrical components that include the radio, reverse lights, power windows, headlamps, rearview cameras, and other elements that you may have added later. The dashboard is also a necessary part of inspection that can provide critical information about your vehicle. 1. Quality of technicians: Only go for a workshop that has a strong track record of accomplishing complex auto operations and repair work. A well-reputed workshop will have first-rate technicians who are expert in their field and ready to put their best foot forward to repair your vehicle. Inquire about the experience of the professionals and also their hands on skill in fixing various auto parts. Ensure that the mechanics are up-to-date with the evolving regulations in the automobile industry. 2. Have the right equipment: The choice of proper equipment can never be undermined because the safety of your car depends on it. A reputable auto repair shop should continually upgrade the equipment and security systems to keep up with the latest generation computer oriented automobiles. They should be able to utilize the most advanced diagnostic technology available and conduct the repair work accordingly. By getting to the root of your vehicle's problem, the repair shop would save not only time but also your money. 3. Panel of experts: Only send your car for servicing to a workshop that employs a highly knowledgeable group of people as service advisors. It would be greatly beneficial for you in the case of an emergency situation, where you would need a specialized advice from experienced service advisors. It is imperative that you get all your doubts and queries cleared before proceeding any further or else you might have some regret as to why your car needs inspection and servicing. If you value your peace of mind, then it's better to spend a little extra and use a professional maintenance company rather than go with amateurs and end up paying more in the long run. 4. Value for money: Not every "reputed" car service provider conducts business to please their customers; many wrongly charge their clients to make more profits. To stay clear of these shady establishments, always compare between two or more companies and check for their reputation and overall customer satisfaction before going ahead with the inspection. You never know how cheaply you can get the work done while getting all the benefits of a vehicle inspection. 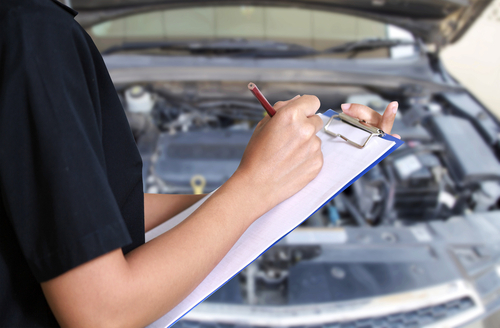 Car inspection is a necessary aspect of maintenance that you cannot afford to ignore by any means. By getting your car regularly inspected, not only will you have safe rides and easier driving sessions but also ensure that your favorite vehicle lasts for decades. If you are in Singapore and haven't had your car checked in a while, it's high time that you take the initiative to do so for the better of both yourself and your precious automobile.